The Victorinox brand stands for tradition, but not only in Switzerland. The classic original red Swiss Army Knife with the cross and shield is world famous and there is no doubt that it has achieved cult status. 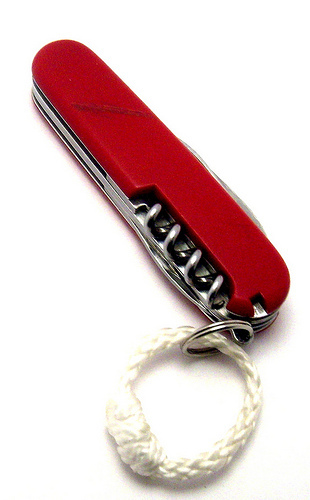 However, Victorinox is currently searching for a fresh, new design for its traditional product. In cooperation with jovoto.com, a crowdsourcing platform for creative talents, Victorinox is looking for a stylish, creative look for the pocketknife. A colorful limited edition of a slightly smaller version of the Classic Line was launched two years ago and the trendy designs not only convinced Switzerland enthusiasts but also travelers worldwide. And now fresh, new ideas are needed to satisfy the continuing demand for miniature pocketknives with colorful layouts. Over 30,000 professional creatives are active at jovoto.com and they submitted over 300 designs within the first week. At the end of the design contest the Victorinox Facebook Community and a jury will select their ten favorite designs. The winner layouts will adorn the cult knives and be available in stores worldwide by August 2012. Forty designs will be pre-selected from all of the ideas submitted on the crowdsourcing platform, and will be presented on the Victorinox Facebook Community site. So whoever wants to participate in deciding what the miniature Swiss Army Knife will look like in the future can vote now. Dieser Artikel wurde am 13.April 2012 von judith geschrieben.